As the month winds down and analysts offer their projections on what kind of figures the used- and new-car retail markets will bring, the picture of the fleet market for November is also becoming clearer. Based on several recently released analyses, it appears the share of the new-car market commanded by fleet will hover somewhere in the neighborhood of 16 percent. Starting with TrueCar.com, analysts there are projecting the overall fleet/rental segment to grab a 16.1-percent share of the new-vehicle market once final sales are tallied. Meanwhile, Edmunds.com said Thursday it believes 15.9 percent of new-vehicle sales in November will be from the fleet side. An analysis released by J.D. Power and Associates’ Power Information Network and LMC Automotive last week projected a fleet market share below 17 percent, compared to 18 percent in November 2011. This figure, however, would be even with October. Looking at last month in more detail, fleet and commercial vehicle sales jumped about 25 percent in October, and it was a particularly strong month for small business fleets, according to CNW Research. The firm said in its latest Retail Automotive Summary that, overall, there were 446,807 fleet/commercial units sold last month, up 24.9 percent from October 2011. This sales figure represents a value of $13.03 billion, up 31 percent year-over-year. As for the small business segment, sales came in at 54,347 units for October, a 56.1-percent year-over-year gain. One possible reason could be small businesses “buying necessary fleet before any tax changes take effect in 2013,” suggested CNW president Art Spinella. Sales in the government fleet segment sector fell 7.5 percent year-over-year, settling at 20,121 sales. Medium business fleet/commercial sales climbed nearly 10 percent at 104,539 units moved. Lastly, the large business fleet/daily rental/commercial segment was up more than 24 percent with 267,800 sales. Though dealers in his region of the country reported slow retail sales for both new and used vehicles during the Thanksgiving weekend, one auction executive said the holiday did not impact the auction lanes. In the post-sale report from Tuesday’s action at Brasher’s Sacramento Auto Auction, John Brasher said the holiday, combined with warm, get-outdoors weather in Northern California, contributed to a lack of shoppers on dealers’ lots. “However, dealers needed inventory, and our sale was strong,” he said of the auction. In particular, Brasher noted that aged inventory was good, rentals were at a much higher percentage than in previous weeks, and trades were strong. “There’s demand for the right vehicles out there, and the prices were high,” he said. To hear more from Brasher, view the full post-sale report at www.brasherssacramento.com. Are your customers coming back into the dealership to purchase the same new vehicle again? Well, if your dealership is selling Chevrolet Volts, this may be the case. According to Consumer Reports annual Ownership Satisfaction survey, 92 percent of respondents who own the Volt said they would definitely buy it again. This score made the car the top-scoring model in the Consumer Reports survey for the second year in a row. Commenting on the results, Consumer Reports' auto editor Rik Paul, said, "The Volt's two-year reign at the top of our satisfaction survey points to the continuing trend of owners' enthusiasm for cars that are fuel-efficient cars, especially as we see more and more hybrid and electric models hitting the market. The combination of sporty handling and strong engine performance also goes a long way in building loyalty and generating excitement among owners." And the Volt wasn’t the only gas sipper with loyal fans. As for the highline segments, the Chevrolet Corvette, Porsche 911, V8 Dodge Challenger and Ford Mustang topped the sporty car category, while the Audi A7, Lexus GS and Audi A6 were the leading luxury cars. On the other hand, one redesigned Japanese model garnered the lowest owner satisfaction score. The redesigned subcompact Nissan Versa Sedan came in with the lowest score in the survey, with fewer than half of its owners saying they would definitely buy it again. Other low scorers include the V6 versions of the Chevrolet Silverado and GMC Sierra pickups, and the Nissan Armada, Suzuki SX4 and Mitsubishi Outlander SUVs. Consumer Reports received responses on almost 350,000 vehicles and more than 240 models, spanning the 2010 through 2013 model years. The survey is based on the results from Consumer Reports Annual Auto Survey, conducted by the Consumer Reports National Research Center. The full report on Consumer Reports' owner satisfaction survey findings is available at www.ConsumerReports.org and in the January issue of Consumer Reports. This week, the American Financial Services Association and the National Vehicle Leasing Association joined forces to urge Georgia lawmakers to reconsider legal changes in regard to financing companies paying taxes when vehicles are leased. Officials used the joint letter to the Georgia Department of Revenue Office of Tax Policy to raise significant concerns about a law that requires finance companies that provide vehicle leases to pay an initial Title Ad Valorem Tax (TAVT) in addition to the monthly sales taxes on the lease payments. AFSA said it was approached by a couple other trade associations representing the leasing industry about the issue. AFSA sought input from these groups, invited them to cosign the letter and ultimately NVLA did. The letter suggests that GA HB 386, which was signed into law on April 19, will result in substantially higher overall costs for leasing versus purchasing a vehicle, putting leasing at a competitive disadvantage and denying some consumers the benefit of leasing. The letter noted that discouraging leasing could negatively affect tax revenue generation in the state, because a leased vehicle generates more revenue because of the frequent ownership change. To keep a finance company’s cost of a purchase or lease agreement relatively the same, AFSA and NVLA recommended that Georgia either exempt leases from the TAVT and continue to hold them liable for sales and use tax, or adopt the tax purchase model in which TAVT is paid each time vehicle ownership is changed, without additional monthly sales taxes. The two officials who signed the letter were Danielle Fagre Arlowe, AFSA’s senior vice president of state government affairs, and NVLA executive director Jack Tracey. “Imposing increased costs on lessors puts leasing at a competitive disadvantage and can deny some consumers the benefits of leasing by raising the price of leasing relative to buying,” Fagre Arlowe and Tracey wrote to Georgia officials. “Leasing is an affordable way for many consumers to drive vehicles with the latest safety and emissions equipment, and the law should not disadvantage leasing relative to purchasing. With lease returns opening up again after recession lows, dealers are focusing on retaining these lease-return customers and getting them into a new car. In response, DealerSocket revealed this week a tool designed to help dealers manage lease portfolios with marketing campaigns. Specifically, MarketPlace Lease works with “automated, multi-channel marketing campaigns” from directly within DealerSocket. Commenting on the new product, Reuben Muinos, DealerSocket MarketPlace product manager, said, "MarketPlace Lease puts laser focus on maximizing the timeline inside the nine-month window to a customer's lease expiration date. "What users love about this product is they barely need to lift a finger and can rest assured their lease customers are properly marketed to through a professional, multi-channel marketing campaign,” he added. Highlighting the tool in more detail, the marketing channels MarketPlace Lease employs include email, direct mail and live phone calls, the company shared. "Users can choose from a library of hundreds of stellar, professionally designed, agency-style email templates. We use UPS Innovations for direct mail, which has an over 90 percent open rate. Live phone calls are made from professionals in the DealerSocket CallCenter. MarketPlace Lease is proven to effectively increase lease retention and penetration," said Muinos. For more information about DealerSocket MarketPlace Lease and DealerSocket's other industry-leading dealer CRM tools, call (877) 888-8048, or see DealerSocket.com. The National Automobile Dealers Association made the connection Thursday about how warnings issued from the Federal Trade Commission that are primarily targeted at the hotel industry can affect dealer group principals and store managers, too. The warning is connected with what the FTC calls “drip pricing.” The agency first conducted a special conference on the topic back in May. “Drip pricing is a pricing technique in which firms advertise only part of a product’s price and reveal other charges later as the customer goes through the buying process,” federal officials said. “The additional charges can be mandatory charges, such as hotel resort fees, or fees for optional upgrades and add-ons. “Drip pricing is used by many types of firms, including internet sellers, automobile dealers, financial institutions and rental car companies,” the FTC said. Officials added the warning letters also state that consumers often did not know they would be required to pay resort fees in addition to the quoted hotel rate. Leibowitz added the letters strongly encourage the companies to review their websites and ensure that their ads do not misrepresent the total price consumers can expect to pay. So what do hotel accommodations and amenities have to do with a dealer turning used-vehicle inventory and selling service contracts? “Dealers are reminded to have all of their advertisements reviewed for compliance with applicable federal and state advertising standards,” NADA officials said. A dealer near Seattle recently had to settle a dispute with the Washington attorney general in a case about the store’s advertising. 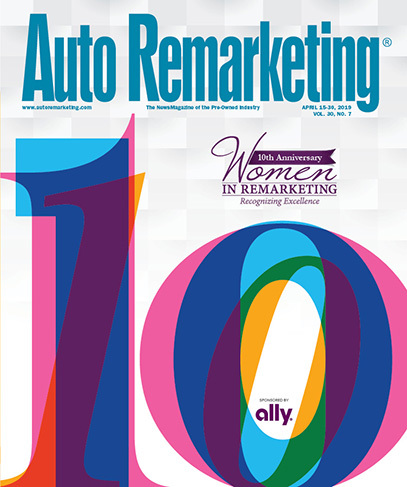 Auto Remarketing published the details about that case here.